If you are reading this post, chances are you would like to learn how to make your own swimsuit. Imagine yourself being able to choose the colors and silhouette, unleashing your creativity! If you are different sizes in the top and the bottom, that wouldn’t be a problem either, you would just cut the corresponding sizes. But in order to make a swimsuit that looks store bought, you will need to attach elastic properly. You could do that using an industrial sewing machine, like an overlock/serger, but that means investing a few thousand dollars. For those of you that would just like to be able to sew your own swimsuit, good news: you can do it, no overlock/serger, or fancy equipment needed! 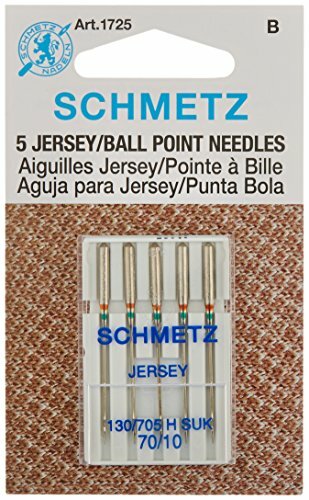 You will only need a domestic sewing machine with zig-zag stitching with ball point needles. To get a good fit, the elastic should be a bit smaller than the opening you will be sewing it in. If you are using a sewing pattern, follow the instructions for the elastic length. My pattern shop has three styles of swimwear patterns, ideal for beginners. They come with step-by-step pictures and instructions in English and Spanish. I also have elastics, cord ends and pattern kit that include everything needed to make a swimsuit just for you! If you are not using a pattern, this is my suggestion: Measure the size of the opening where you will sew the elastic (waist area, leg openings, etc.). Subtract 1” to that amount and presto! With this reduction and the overlap when you attach it, the elastic will fit properly, without too much gathering. The final result should look something like this (FIG.5). Remember that practice makes perfect and enjoy the process! To make this swimsuit, I used the Janome 8077 Computerized Sewing Machine (click on the image below). I really liked this machine, for a few things: You can select a specific width and length for the zigzag stitch. This is great because I used different length and widths to attach the elastic, to join pieces and and to topstitch. You can adjust the speed so if you are sewing difficult curves or you are just a beginner, setting it in the slowest speed will help. 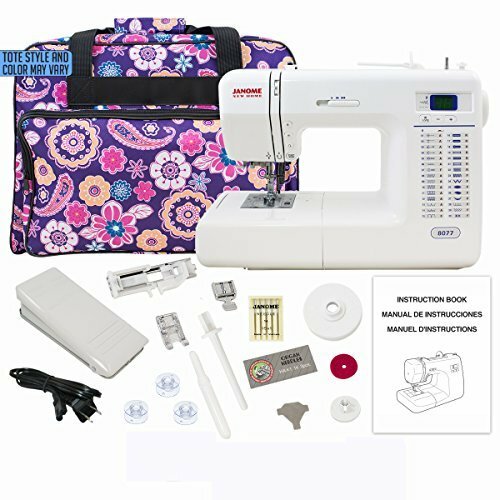 Also, it has several automatic buttonholes, automatic needle threader and lots of decorative stitches. Finally, you can operate the machine using the pedal or with the touch of a button! Ready to make your first swimsuit? Try this free PDF Instant Download Sewing Pattern. It comes with printing and sewing instructions in English and Spanish. Click here to get it! Please comment below and let me know what you think about my post. I would really appreciate if you share this post with a friend that might find it helpful.